The third level is for you who have completed the first two levels and who feel the call in your inner transformation to continue your spiritual healing through the use of Reiki, to "purify" and heal without necessarily wishing or having to access the Master-Teacher level. You will experience a new symbol transmitted by attunement. This step is accompanied by a significant personal growth. This will give you a significant change in your vibratory rate, an awareness of your relationship with the universe and important in-depth work on the ego. You will experience an energy supply with another symbol given to perfect the practitioner's channel for attunement and become assistant-master. At this level the practitioner can attune others at level 1 and level 2. Reiki and Etheric Crystals, how to make a "grid REIKI"
Guided Meditation exercises for you to meet your guide(s) that is (-have) always been present to help you in your daily life and in your Reiki treatments. Exercises for "psycho-energetic" elimination of negative energy. Psychic Surgery (explained but the practice cannot really be exercised in training (except special cases)). This course is more oriented theory than practice. A certificate will be awarded at the end of the course. 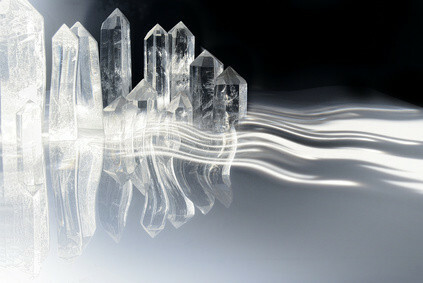 It is important to take the time to deal with various levels of Reiki. The suggested time of 10 to 15 months between level 3 and level 4 seems appropriate.